In the midst of all kind of things, not only preparing new posts for this blog, I read news which made me pause for thought, and more than that. It is truly sad to hear that Knut Wolfgang Nörr passed away on January 15, 2018. Last week Thomas Duve, one of the directors of the Max-Planck-Institut für europäische Rechtsgeschichte in Frankfurt am Main, wrote a brief message about Nörr’s death on the institute’s website. At the university of Tübingen his colleague Jan Schröder wrote a somewhat longer but still very concise in memoriam with however a very full treatment. In fact it is hard to believe you can tell anything about him with so few words. When you look at the enlarged version of the portrait photo it is even more striking how he looked almost unchanged over the years. Here I would like to share a few of my memories of meeting Professor Nörr many years ago, and I will briefly look at his work in the field of medieval canon law. I am sure they show sides of him which are equally telling about his person, his life and achievements as a scholar as more profound obituaries which he truly deserves. Jan Schröder succeeds wonderfully in creating a most lively image of Knut Wolfgang Nörr (1935-2018), a man of many gifts. Legal historians tend to see him as a major specialist in the field of medieval canon law, but he made also important contributions to the study of contemporary German law. It was Stephan Kuttner who guided his first research in the field of medieval ecclesiastical law, resulting in his first book around a theme connected with the Council of Basel, Kirche und Konzil bei Nicolaus de Tudeschis (Panormitanus) (diss. Munich 1960; Cologne 1964). Nörr used here the person of the Sicilian canonist Niccolò de Tedeschi (1386-1445) as a focus for a study of views on the balance between church and councils. His versatility became soon visible in his Habilitationsschrift on the position of judges within Early Modern legal procedure, Zur Stellung des Richters im gelehrten Prozess der Frühzeit: Judex secundum allegata non secundum conscientiam judicat (Munich 1967). Nörr became in 1966 a professor at Bonn, and went in 1971 to Tübingen where he would stay despite several alluring calls from other universities. Combining the history of legal procedure and medieval canon law became a hallmark of his work, but he was equally equipped to study the history of German law, for example with a pioneering study of private law during the Weimar Republic, Zwischen den Mühlsteinen : eine Privatrechtsgeschichte der Weimarer Republik (Tübingen 1988), and crowned with a study on the history of economic law in post-war Germany, Die Republik der Wirtschaft : Recht, Wirtschaft und Staat in der Geschichte Westdeutschlands (2 vol., Tübingen 1990-2007). The results of his research were published also in a steadily flow of articles, a number of those concerning civil procedure were republished in the volume Judicium est actus trium personarum : Beiträge zur Geschichte des Zivilprozessrechts in Europa (Goldbach 1993). In the field of medieval canon law he looked in particular at the way the papacy used law, not only in papal decretals, letters with decisions by papal delegates, usual bishops or abbots, but also at the courts of the papal curia in Rome. Looking at the titles of his articles and their sequence it shines through how he delved new roads to look at the relevant sources. The importance of his work on medieval procedure is perhaps most visible in the creation of the series Der Einfluss der Kanonistik auf die europäische Rechtskultur, Orazio Condorelli et alii (edd.) (4 vol., Cologne-Weimar-Vienna 2009-2014) in which three volumes deal with legal procedure. Thanks to Knut Wolfgang Nörr the very substantial role of canon law in legal procedure is taken into account in any study of the history of legal procedure, an achievement very much also following his teacher Stephan Kuttner who stressed the role of medieval canon law for criminal law. I had promised you not to look only at the publications of Knut Wolfgang Nörr, but seeing this overview helps you to understand what a towering figure he was, certainly in the eyes of a young graduate student. In summer 1991 I came to Tübingen for a period of research for my Ph.D. thesis. My second supervisor, Alain Wijffels (Leiden and Louvain-la-Neuve) had helped me to get support from the university of Tübingen. I had made an appointment at the law faculty, but I was not quite prepared for what happened next. Nörr welcomed me friendly, assuming I would defend my thesis at Leiden University, quod non, but after telling him about my purpose and study plan he did something else, too. He gave me the name of a student assistant whom I could contact for practical matters, and he walked me to the university library. In a seemingly old-fashioned but very effective way he introduced me to the staff of the department for rare books and manuscripts. Twenty-five years ago the electronic library catalogue at Tübingen was still in an early phase, and not all old works had yet been entered. Therefore he handed me the old hand written catalogue of legal books, and urged me to look it through completely before starting with reading specific medieval and Early Modern works. To illustrate the riches of Tübingen’s university library for legal history Nörr told me a story about another visitor. On a certain occasion he had taken Domenico Maffei, a connaisseur of old legal books, to the library stacks, and left him with the old legal books. After half an hour Nörr looked for Maffei, and found him still between the stacks, murmuring again and again: “Scandalo, scandalo!”. “What is the scandal?”, Nörr asked him, and Maffei answered the scandal was not the stunning presence of many rare books, surprisingly often with more than one copy, but the fact this collection had survived the ages and now was only seldom used. I spent part of the following summer again in Tübingen to benefit from the rich holdings of the university library. For at least one particular genre of Early Modern legal books it would be impossible to write its history without taking the collections at Tübingen into consideration, but it is closer to the truth to say that only the Universitätsbibliothek Tübingen made me thinking about this genre. I hope to follow and complete my investigations. Most of all, I cherish the foundations I could lay for such research thanks to the gentle support of Professor Nörr and the efforts of the library staff. While musing about my fond memories I remembered another thing. Knut Wolfgang Nörr belonged to a family with three of Germany’s best lawyers, a Dreigestern (three-star). Last year Dieter Nörr (1931-2017), too, passed away. In my Munich years I worked at the Abteilung B for German and Bavarian legal history of the Leopold-Wenger-Institut für Rechtsgeschichte, but luckily I was also in touch with the department for the legal history of Classical Antiquity in its fullest extent. Dieter Nörr, his colleagues and the marvellous library for ancient law ensure that yearly many young scholars come to Munich. For me it was striking to see during the famous Roman law seminar the similarities between the two brothers, in particular his humility and humour in admitting something was too difficult for him to solve. The In Memoriam on the institute’s website says infinitely more about him. A true professor inspires not only by his research, teaching and publications, but with his whole person, his behaviour and way of living. Knut Wolfgang Nörr set an example of questioning existent views, immersing himself in the matters at stake and charting new territories, and perhaps above all, taking interest in people and sharing his curiosity and wisdom. Even in the few times I met him these qualities were visible. The community of legal historians has lost again one of its giants. Let’s keep alive the sparkle that lived so strong in Knut Wolfgang and Dieter Nörr! This entry was posted in Scholars and tagged Ancient law, European history, Germany, Judges, Legal history, Medieval canon law, Medieval procedure, Roman law on January 31, 2018 by rechtsgeschiedenis. These weeks one of the books I am reading discusses the first democracy. Last year Antoon van Hooff, a scholar who taught at Nijmegen, published Athene. Het leven van de eerste democratie [Athens. The life of the first democracy] (Amsterdam 2011; third impression 2012). Although aimed at a Dutch public, Van Hooff shows not only British scholars know how to write about Classical Antiquity for the largest possible audience. Reading his study I realized it would be interesting to look at new sources and publications on ancient democracy. In this post I am happy to benefit from the riches offered at The Ancient World Online – abbreviated as AWOL – by Charles Jones of the Institute for the Study of the Ancient World (New York University), a blog offering a wealth of information on new projects and publications in this vast field. Here I take the liberty of choosing rather at random postings in 2012 at this veritable treasure trove. Dēmos: Classical Greek Democracy is a project led by Christopher W. Blackwell which figured at AWOL in March 2012. Van Hooff mentions it in his book, too. This project aims at creating an online encyclopedia about the Athenian democracy. The project website is part of the Stoa Consortium. Among the features are translations of ancient Greeks texts, and notably a series of lectures given at the Center for Hellenic Studies of Harvard University on “Athenian Law in its Democratic Context”. Michael de Brauw contributes a glossary of Athenian legal terms. 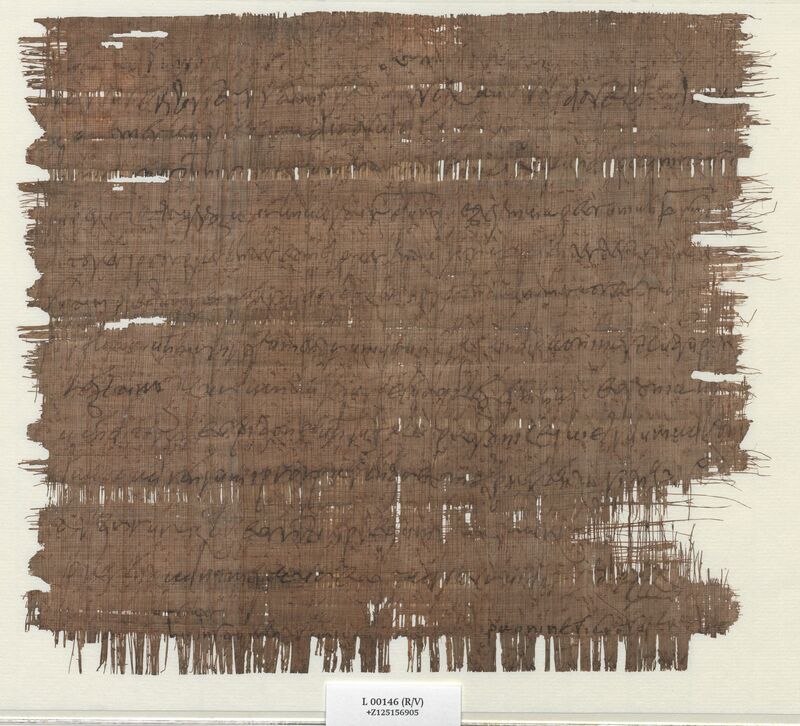 In July 2012 Jones published a notice about another project led by Blackwell for a new edition of the papyrus with the so-called Constitution of the Athenians of Aristotle (London, British Museum, Pap. 131). Images of this papyrus can be viewed at a website of the Furman University, Greenville, South Carolina. The accompanying website brings you much more, including the classic commentary by J.E. Sandy and word lists. In the ostracism, the procedure to ban people whose power the Athenians wanted to curb, ostraca were used, potsherds with the names of politicians to be banned. These potsherds are among the most visually speaking objects concerning the Athenian democracy. Van Hooff does not fail to tell again the touching story of Aristeides – reported by Plutarch – who helped an opponent to write his name on a ostrakon. In January 2012 AWOL reported briefly on the new Berliner Papyrusdatenbank where you will also find ostraca from the collections of the Staatliche Museen Berlin. In June 2012 Jones wrote about a project of the universities of Halle, Jena and Leipzig for cataloguing and digitizing their papyri and ostraca. Ostraca are found elsewhere, too, not only in Athens. Roger S. Bagnall and Giovanni Raffall have published ostraca from Trimithis, an Egyptian village. At AWOL I found an announcement of the digital version of the edition by Hélène Cuvigny of ostraka found at Didymoi in Egypte. Greek inscriptions can be found also online in the digital version of the Inscriptiones Graecae and other source editions, a project of the Packhard Humanities Institute. You can find the Inscriptiones Graecae also separately in a digital version provided by the Berlin-Brandenburgische Akademie der Wissenschaften. Ostraca are in particular present in the section Kerameikos III, Inschriften, Ostraka, Fluchtafeln, from the edition by Werner Peek (Berlin 1941; reprint 1974). The website of the Center for the Study of Ancient Documents at Oxford offers an extensive selection of online resources concerning classical epigraphy. At Duke University you will find an online list of editions of papyri, ostraca and tablets. In the section on ostraca and tablets you will find a great variety of texts. I did not immediately spot an edition of ostraka from Athens. Among the editions and studies are Mitteilungen aus dem Kerameikos. I. Ostraka, Alfred Brückner (ed.) (Athens 1915), Ostraka, Mabel L. Lang (ed.) (Princeton N.J., 1990; The Athenian Agora, 25), Stefan Brenne’s study Ostrakismos und Prominenz in Athen: attische Bürger des 5. Jahrhunderts. v. Chr. auf den Ostraka (Vienna 2001), and Ostrakismos-Testimonien, I: Die Zeugnisse antiker Autoren, der Inschriften und Ostraka über das athenische Scherbengericht aus vorhellenistischer Zeit, 487-322 v. Chr., Peter Siewert et alii (eds.) (Stuttgart 2002). Van Hooff remarks that ostracism was exercised in Athens only fifteen times between 487 and 417. Imagining ancient Athens is made easier by a new virtual tour of the Acropolis, a website announced at AWOL on November 1, 2012. In his announcement Jones point also to the information about the geography of ancient Athens gathered at Pleaides, a website of his own institute and the Ancient World Mapping Center (University of North Carolina at Chapel Hill). A lot of websites and blogs cover current research in the field of Classical Antiquity. The Digital Classicist is one of these blogs, which will lead you to several partner projects. For the congress calender of this blog I can find information for ancient history at websites such as Ius Civile and Compitum. In fact the versatile use of information technology in many forms should gain your admiration for the perseverance and great creativity of scholars studying ancient societies. Those scholars devoting also time to creating attention for such inventive projects on their blogs merit our gratitude for their efforts! In this short post I have only shown a few examples of much more which you can discover and enjoy for yourself and others. Even finding your road and choosing the means of transportation in Classical Antiquity is not forgotten. The ORBIS website of Stanford University will help you gaining insight into aspects of daily life which have relevance for legal history, too. As for reading about the Athenian democracy, Van Hooff rightly reminds his readers that exactly this particular form of democracy has not always inspired modern Western democracies. One of the merits of revisiting familiar stamping grounds is to get more conscious of the different possible approaches to the Classics during the centuries. The twentieth century saw a number of shifts in attention and perspectives. Two decades ago appeared Christian Meier’s Athen. Ein Neubeginn der Weltgeschichte [Athens. A new start of the world’s history] (Berlin 1993). Classical Antiquity still has the power to be a mirror for contemporary society, and this is surely not restricted to works by British or American scholars. This entry was posted in Digital editions and tagged Ancient law, Classical Antiquity, Epigraphy, Greek law, Legal history, Papyrology on November 30, 2012 by rechtsgeschiedenis. This week I received information from Emiliano J. Buis (Buenos Aires) about a new platform for the study of ancient Greek law, the Grupo de Trabajo sobre Derecho Griego Arcaico y Clásico y sus Proyecciones, abbreviated DEGRIAC. The new platform for the study of archaic and classical Greek law and its influence has been launched by the Instituto de Investigaciones en Historia del Derecho, the National Research Institute on Legal History in the capital of Argentina. The objective of this research group is to study ancient Greek law in its original sources and their impact from several disciplines. Buis teaches both at the law faculty and the Department of Classics of the Universidad de Buenos Aires. Theoretical aspects will get attention, too, in view of the historiography on ancient Greek law. One of the aims is to look at the laws of ancient Greek city states in a diachronic way and to study the tensions between aiming at justice and actual juridical practice in Athens and other cities. The DEGRIAC group invites scholars to participate, but first of all ideas, suggestions and help are welcome. You can reach Emiliano Buis in his function of coordinator at the mail address degriac@gmail.com. Good luck to this initiative from Argentina! This entry was posted in General and tagged Ancient law, Greek law, Legal history on March 28, 2012 by rechtsgeschiedenis.